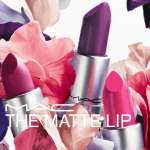 M·A·C introduces the new Viva Glam Gaga 2 Lipstick and Lipglass collection today and as you know, every cent from the sale of a M·A·C VIVA GLAM product goes to the M·A·C AIDS Fund. Beautiful! “I am incredibly passionate about this campaign and strongly believe the M·A·C AIDS Fund has the power to create a global movement not only to combat HIV/AIDS but also to encourage men and women everywhere to protect themselves. I feel honored to be part of such an important cause. 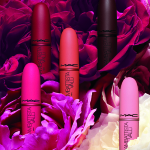 My new VIVA GLAM lipsticks are intended to be a reminder to people to live passionately, but do it safely. Be your own biggest fan and protect yourself.” – Lady Gaga, M·A·C VIVA GLAM Spokesperson. Lady Gaga also talked about helping to create “the perfect shade of taupe” for this collection. The lipstick is a light warm beige creme with a sheer pink undertone and the lipglass is a light neutral pink-beige. Both colors are “the perfect shade of taupe”. I have to say that this is my very favorite Viva Glam collection so far–-I’ll definitely be wearing the Gaga 2 shades daily. M·A·C VIVA GLAM Gaga 2 Lipstick ($14.50) and Lipglass ($14.50) are available starting today through Feb. 2012 at M·A·C counters and at www.maccosmetics.com. MAC Viva Glam featuring Ricky & Nicki!